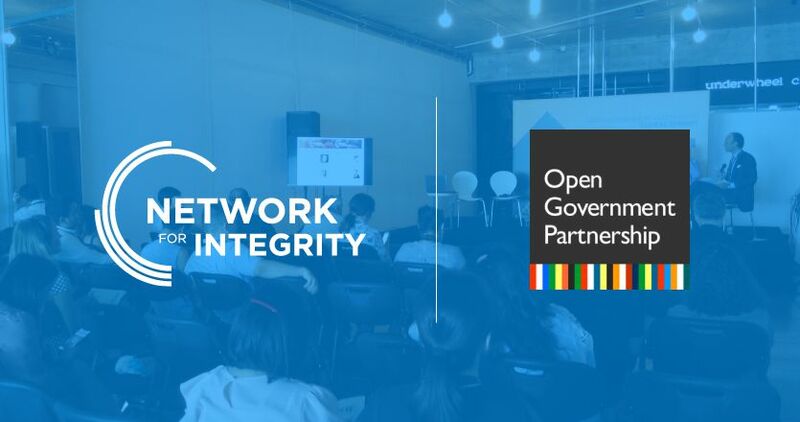 On 18 and 19 July, seven member institutions of the Network for integrity participated in the Open Government Partnership (OGP) Global Summit organized by the Georgian co-presidency of the OGP. Indeed, the Partnership follows objectives of promotion of transparency of public action and openness to new forms of consultation and participation of citizens, of fostered public integrity and use of new technologies to strengthen democracy. These goals are close to the objectives of the Network for Integrity. Therefore, the Network had submitted a proposal for the organization of a session on « publishing and reusing open data to strengthen public integrity » co-organized with the Commission for Integrity and Administrative Transparency of Chile. The session gathered about 40 attendees in the morning of 19 July. Elodie Cuerq, Head of the Communication and Public Affairs division at the High Authority (France), and Catherine Kardava, Head of the Civil Service Bureau (CSB) of Georgia, both representing a member institution of the Network, intervened in this panel. In addition, Gonzalo Guerrero Gonzalez, Director of the Chilean commission, and Renzo Lavin, co-director of a civil society organization in Argentina, the Civil Association for integrity and justice (ACIJ), were also present. This session was an occasion for each panelist to present concrete experiences of publication and/or of reuse of data related to integrity in the public sector, to mention results and challenges faced both by institutions and civil society organizations. Elodie Cuerq insisted on the consultation by civil society to ensure and strengthen reuse of data related not only to interest and asset disclosure of highest-ranking French public officials but also to lobbyists and their influence activities. She also recalled the challenge of the interoperability of databases in order to ensure cross-checking of different available data sets, which was also evoked by Catherine Kardava notably in the monitoring mission of the CSB on asset declarations that it collects. In addition, Ms. Kardava highlighted that digitalization of the declaration process and the reform that will allow to make public omissions and errors detected in declarations are important steps forward. Renzo Lavin presented three projects on asset disclosure, judicial decisions and financing of political life that aim at making open data of Argentine administrations more easily understandable for citizens and at strengthening transparency in public life. Gonzalo Guerrero Gonzalez stressed the fact that the action led by Chile in this field also follows this logic, notably thanks to public consultations and open budgeting projects that are currently being implemented. The moderator, Sam Van der Staak, Europe Program Manager at International IDEA, was thus able to conclude on common trends in these different experiences. Interoperability of databases and reuse of data that are published are essential to the evolution and results of all these projects. He also recalled that international gathering such as the Global summit of the OGP represent an opportunity to exchange, to strengthen organizations and to fine tune the projects by allowing to share information on results and challenges but also on instruments and procedures. After this session, cinq member institutions of the Network gathered to discuss the working groups, new opportunities of international gatherings for the last quarter of 2018 and the organization of the plenary session by the Mexican National Institute of Transparency and access to information, in Mexico in December 2018.